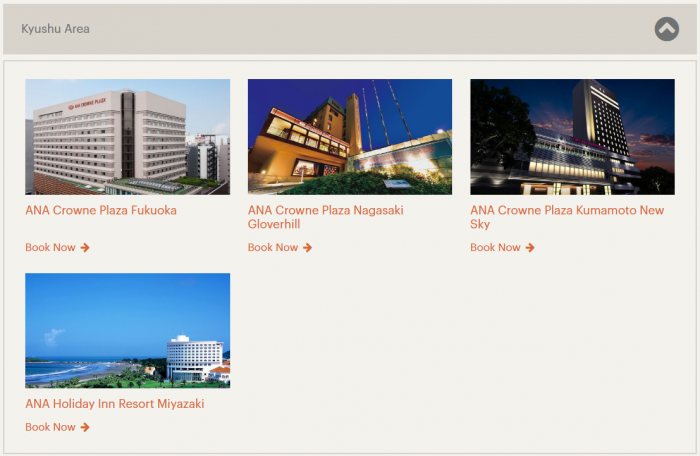 IHG Rewards Club has launched 30% off Winter Sale for stays in Japan through March 31, 2019. Members must book minimum of two nights stay on IHG’s website (JAPAN WINTER) by November 19. This appears to be a real offer and I booked it for a two night stay starting tomorrow at the Crowne Plaza Sapporo. The rate really was 30% off of the Best Flexible one. The rate at this specific hotel allows 6PM arrival day cancellations without any penalty (basically Best Flexible). Best Flexible Rate is the best and least restrictive publicly available rate. Changes to your reservation are usually acceptable, however always check the hotel’s cancellation policy before booking for cancellation fees that may apply depending upon arrival date and hotel selected. Rates are per room, per night and are subject to availability. The offer is valid for a minimum two night stay. This offer is applicable for reservations made between 22 October 2018 and 19 November 2018 for stays at participating hotels in Japan between 22 October 2018 and 31 March 2019. The offer is subject to availability and is available for both non members and members of IHG Rewards Club. The offer is only applicable for online reservations. Final bill will be presented in local currency. Credit card surcharges apply. Blackout dates apply. Rates only applicable to participating hotels in Japan. Hotel policy varies in regards to the number of guests allowed per room. Please check with the hotel directly should you require further clarification. Offer is not valid to groups of 10 or more rooms and cannot be combined with any other special offer, including but not limited to InterContinental Ambassador’s complimentary weekend night certificate. At Holiday Inn, Kids 12 years and under stay for free sharing parent’s guest room in existing bedding and eat free from the all-day dining restaurant with an accompanying paying adult guest. Rates qualify for IHG® Rewards Club Points. Standard IHG® Rewards Club programme terms and conditions apply. Visit ihgrewardsclub.com for details. Other terms and conditions apply. Next articleEnding Bottled Water In Favor Of Water Filtering System In Hotel Rooms – Is This Really A Good Idea?